Who doesn't love the summer time and all the delicious food that goes along with it. One of my favorite summer foods is seafood. 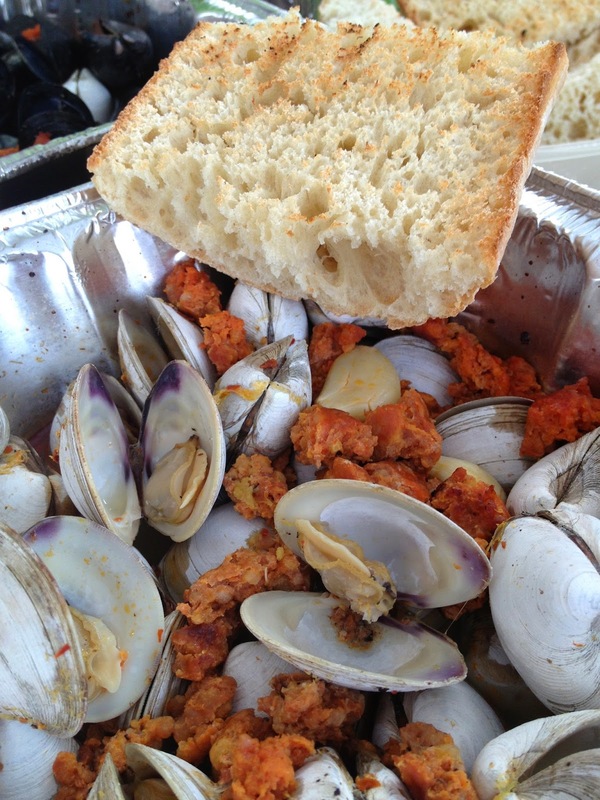 I love almost all seafood but clams are a particular favorite of mine. I think the most delicious thing to eat on a warm summer day near the pool is a grilled clam and sausage dish I first had at my friends house. It is really easy to make and adapt to your taste and can be an appetizer or an entree. First take about 3 or 4 hot sausage links and cut them out of their casing. I usually break them up and sauté them in a minimal amount of olive oil and wait for them to get all brown and delicious. When done I throw them into a foil pan. Then I zest 2 lemons and use the juice from both. 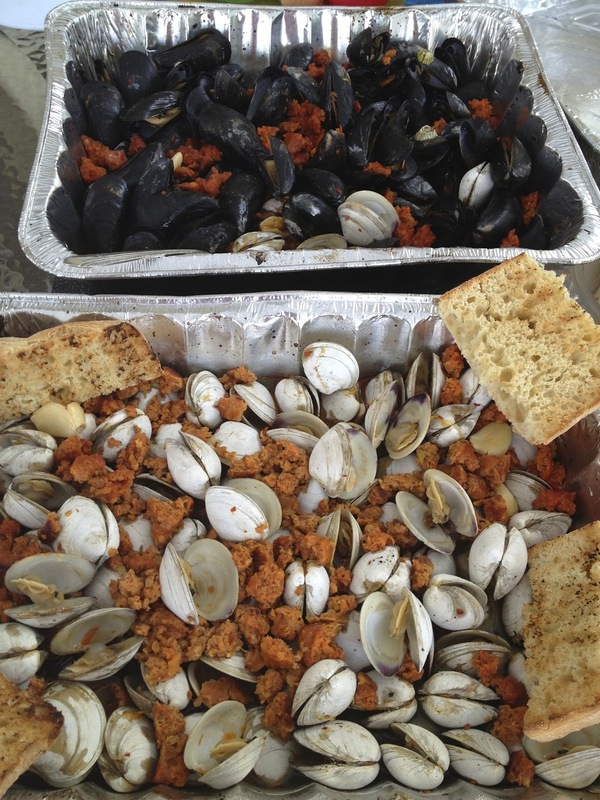 Clean, add the bag of 50 clams to the foil pan and drizzle about a quarter cup of olive oil on top. Lastly, pour about three quarters of a bottle of white wine into the pan. The liquid should come up halfway in the pan. The clams should not be submerged in the liquid. Cover with aluminum foil and set on the grill on high until all the clams open. About 10 minutes. Serve with your favorite bread (Rosemary Sea Salt from Wegmans if it is up to me) and dig in. We have made this recipe with mussels as well as clams and we have also tweaked the recipe with a few different additions like garlic, fresh herbs and chili flakes. This is also great over pasta. The "juice" this meal makes is delicious!! !